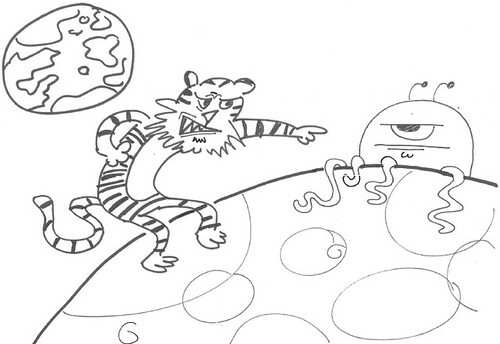 One day, Peter the Tiger was fighting aliens in space. 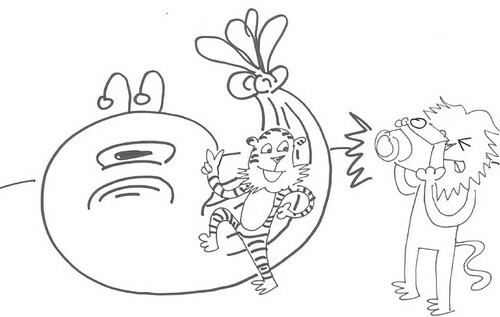 It’s a well-known fact that tigers do not like aliens. The battle was happening on the moon. 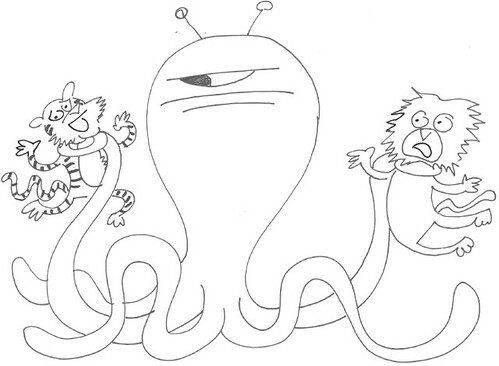 The aliens were very mean. Peter’s best friend, Scrape the Lion, was helping him.